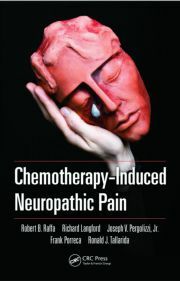 This book takes a holistic view of the treatment of cardio-oncology patients, from evaluating those at high risk of developing cardio-toxicity, guidance for monitoring and managing patients during therapy to cardiac care of cancer survivors. 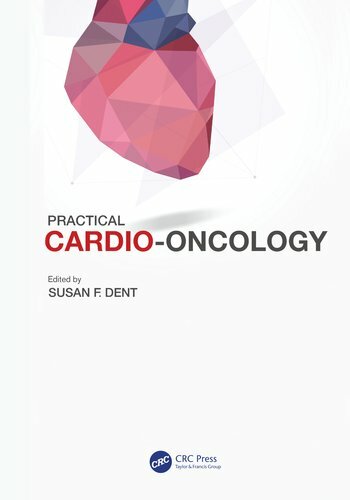 Throughout, this book utilizes the latest research and guidance to offer advice on treatment strategy as well as practical elements of such as training, cardio-oncology nursing, patient education and how to establish a cardio-oncology unit. 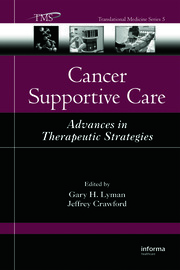 This book focuses on the practical knowledge and skills key to successful collaboration between cardiologists and oncologists to achieve the optimum cardiac care for cancer patients. Chapter 1: Cardio-Oncology: How a new discipline arrived. Dr. Dent is a medical oncologist and Professor of Medicine, at Duke University in Durham, North Carolina, U.S.A. She is Associate Director of Breast Cancer Clinical research, and Co-Director of the Cardio-Oncology program at Duke University. Dr. Dent attended McMaster medical school in Hamilton, Ontario, Canada and completed her residency training in Internal Medicine and Medical Oncology at the Ottawa Hospital, University of Ottawa, Ottawa, Canada. She subsequently completed a post-graduate research fellowship in clinical trials at the Canadian Cancer Trials Group (CCTG) in Kingston, Ontario, and in 1996 was appointed as a staff medical oncologist at the Northwestern Ontario Cancer Center in Thunder Bay, Ontario. In 2001, Dr. Dent returned to The Ottawa Hospital Cancer Center, where she specialized in breast cancer oncology. Dr. Dent held several leadership positions, in Ottawa including, Director of Clinical Trials, Vice Chair of Patient Quality and Safety in the Department of Medicine and Co-Chair of the Ontario Cancer Research Ethics Board (OCREB). In 2008, Dr. Dent, working with her cardiology colleagues, established a multidisciplinary cardio-oncology clinic in Ottawa– the first of its kind in Canada. Subsequently, she founded the Canadian Cardiac Oncology Network (CCON) in 2011, a not-for-profit organization devoted to optimization of cancer care for patients without compromising cardiovascular health. Yearly CCON meetings in Ottawa helped facilitate the establishment of cardio-oncology clinics across Canada, as did the launch of a website (www.cardiaconcology.ca). In 2015, she launched the Global Cardio-Oncology Summit (GCOS), an annual meeting which now attracts oncologists, cardiologists, and allied health care providers from around the world. Dr. Dent is recognized as a global leader in cardio-oncology. She has travelled extensively around the world (China, India, Europe, North and South America), as an invited speaker, sharing her knowledge and expertise on the potential impact of cancer treatment on cardiovascular health. She has published extensively in this area and has co-authored a number of position statements and clinical practice guidelines. She is an Associate Editor of Cardio-Oncology, the first dedicated peer reviewed journal in this new discipline. She continues to work and build relationships with global organizations interested in cardio-oncology including: European Society of Cardiology, American College of Cardiology and the American Society of Clinical Oncology. Dr. Dent currently serves as an Executive Officer of the International Cardio-Oncology Society (ICOS), an organization dedicated to bringing cardiologists, oncologists, and allied health care providers together, to improve the clinical care of patients and save lives. In September 2018, Dr. Dent accepted a position as staff medical oncologist at Duke University. In addition to establishing a breast cancer practice, she will continue her efforts in promoting clinical care, education and research in the evolving field of Cardio-Oncology.